← Should I Spend Donuts on the Returning Rex Banner, Lady Duff, Nature Bundle or Relaxation Bundle? 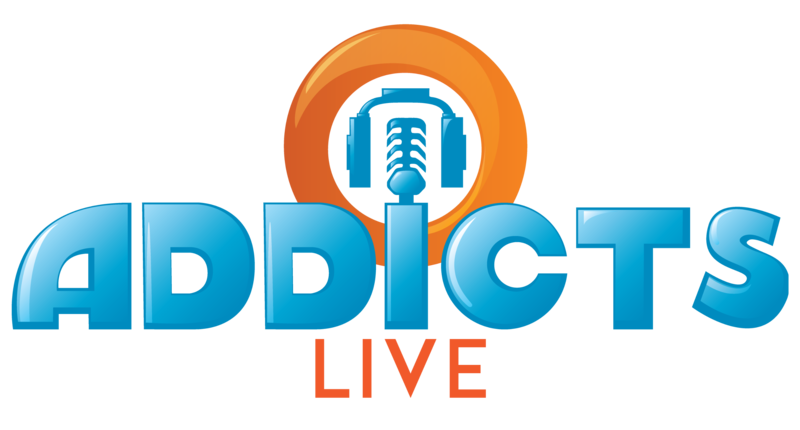 I was reminded by Alissa, that we don’t usually do obits for people on this site, unless they were critical to the show, or the game. 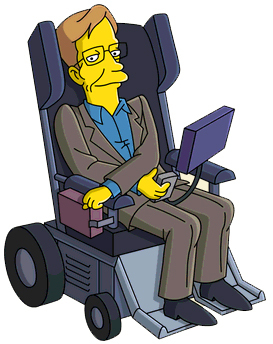 However, there were few guest appearances on The Simpsons, that had the “Cool Factor” that came with Stephen Hawking, one of the greatest minds of the past century. There is something simply fun about a man who spent his life trying to bring about a solution to the “Unified Theory of Physics” (a way to resolve traditional Physics with Quantum Physics), and playing a part in a show as irreverent and fun as The Simpsons. For this reason alone, I was overjoyed when he became a character in our game, able to fly around our own little universes in a way he never could in real life. It’s interesting to me that a man like Hawking could generate so much controversy with his theories. And I admit, I didn’t totally buy into his version of creation, although in later years, he showed a flexibility in the “what could be” that some of his contemporaries (Neil deGrasse Tyson as an example) seem to lack. But his courage, in a life that could have, and perhaps should have been full of bitterness, was the thing that I respected more than anything else. For those who have followed his career, or even just watched the amazing Oscar winning performances in the 2014, “The Theory of Everything,” you know that Hawking’s life was altered unimaginably, when he contracted ALS, (Amyotrophic lateral sclerosis), otherwise known as Lou Gehrig’s disease. This is a disease that can kill someone within a few months of diagnosis, and there’s only a 10% chance patients live more than a decade. So, Hawking living with the disease for more than 50 years, was a testament to both his determination to continue living, working, and thinking, but his amazing support team, including wives and medical support (who also became a wife in one case). Some would argue that his personal life was less than enviable, and as the movie portrays, was certainly complicated (as was the life of his idol, Albert Einstein). But, along with Einstein, the way in which their theories altered the general direction of science, and particularly that of physics and astrophysics, is beyond dispute. I came into my own interest in physics through a “side door” of my own experience with the after affects of an NDE. Hawking, along with physicist Paul Davies and theologian C. S. Lewis became my touchstones for understanding the wide-ranging possibilities of creation. And while I have studied and read hundreds of books and articles about this topic, I continue to appreciate what these men brought to the conversation. Unfortunately, like politics, religion and other divisive topics, our creation and the nature of our existence is too easily divided into camps of resolute close-mindedness. A creationist’s view is really no more silly than that of the confirmed atheist…or more valid. The simple fact is, there are few “facts” in our existence, but rather realms of things we THINK we understand. Hawking knew this, and always kept an open mind to all possibilities, including that of the hand or mind of a creator in our earliest beginnings. But, through all of my now 20+ year journey to make sense of what I experienced, there is an innate knowledge that “the answers” don’t/can’t truly come, until we shed the coils of this earthly existence, and finally move into the “next state of existence.” I am sure that there is more…but, I feel that the limitations of our humanity will keep us from being able to ever fully understand it. What is clear, is that minds like that of Stephen Hawking’s are rare…and the courage to persevere when handed a rotten hand by “fate” or God, even more rare. But if “eternal life” is marked by the impression one leaves behind on those you touch, Hawking will certainly live well beyond the “time” that keeps us strapped to the traditional laws of physics. 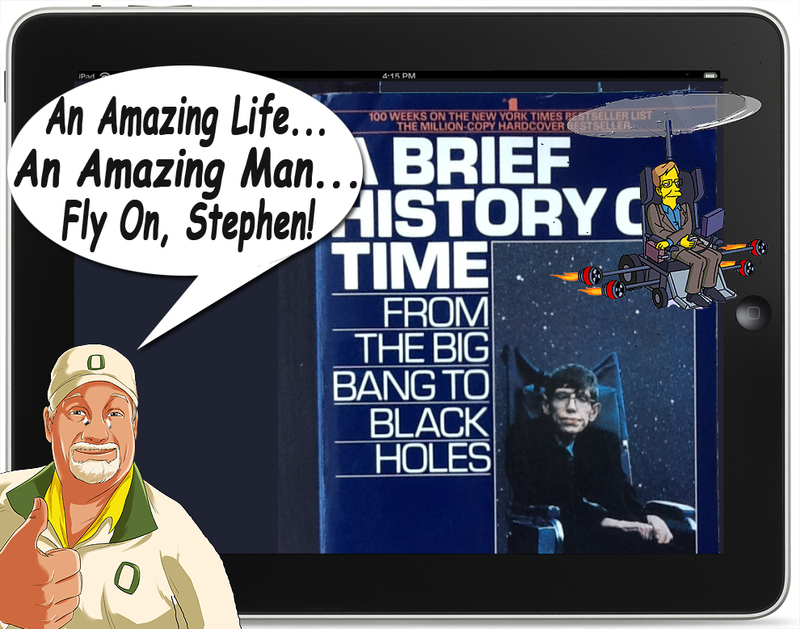 This entry was posted in Tapped Out and tagged Stephen Hawking, Stephen Hawking Event, Stephen Hawking TSTO, TSTO Addicts, TSTO Community. Bookmark the permalink. What’s kinda of cool, but weird Albert Einstein was born on Pi day – March 14, 1879 (3.14) and Hawking Died on (3.14) Possibly our next genius will have been born on that day..
Once again you surprise me with the scope of your experience and interests, Patric. A lovely tribute, thank you for sharing. 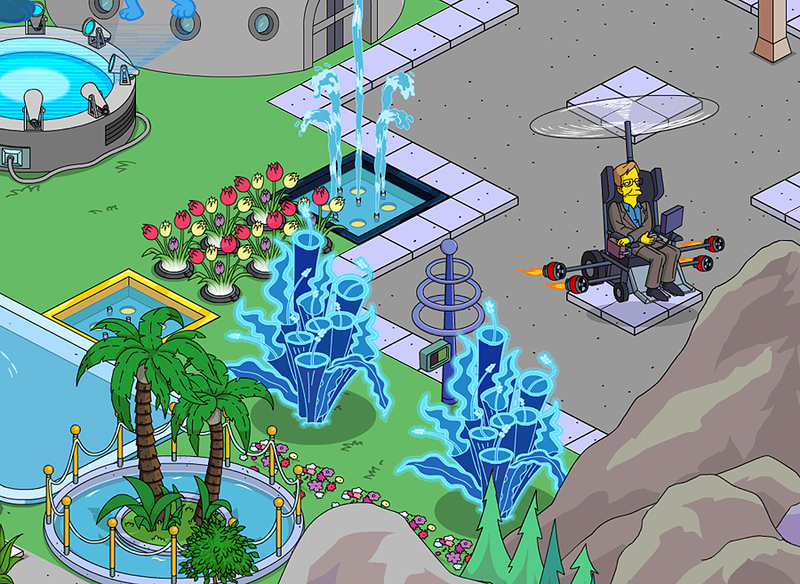 And thank you TSTO for our Hawking character to still delight in now that one of the great geniuses of our time has moved on in his journey. It was weird, about an hour before I heard the news, I was tapping my characters and Stephen Hawking caught my eye. I spent a moment staring at him thinking what an amazing person he is and what a legacy he has given the world. Just saw my hawking dj’ing and also just saw my mechahawking. The morally correct way to offer him up for all Is for free at level X as a permanent fixture. I think his 2 game avatars were originally free. We were lucky to have a man like Mr. Hawking in our life time . Thanks for a lovely post, Patric. I had a little pang of sadness when I tapped to clear him this morning, but I hope he does find the answers he spent his life seeking. He’ll live on with his incredible contributions to science and a ridiculous amount of US TV appearances – in addition to the ones you mentioned he was also on Big Bang Theory. Always pleased me in a weird way to know such a serious academic also possessed that biting sense of humor in spite of everything life threw at him. Humor is essential to combat such illnesses. Back in 2008 I was diagnosed with a Non-Hodgkin Lymphoma. Bad news. But my motto became: “Combat your tumor with humor.” It really helps to endure the treatment and makes people around feel a bit better. It is interesting… that so many of his colleagues spoke mostly of his humor. He brought joy to the world…despite his challenges. A truly great mind who made many contributions to helping unlock the mysteries of our existence. Thank You Patric; The news hit 2pm Melbourne Time in Australia. Stephen is duly flying in both my towns. He will be missed by many, for so many reasons. For me, one of the most inspirational moments resulting from his life happened when I mentioned his passing during dinner tonight. Both of my kids–not yet in their teens–not only knew who I was talking about, but became sad in response to the news. It is truly a rare thing for a scientist to be so widely known and revered that his passing becomes national, and even international news. I disagree, Patric. I grew up as a Catholic, and then I learned critical thinking and rational thought. Dr. Hawking arguably knew more about cosmology and the origins of the universe than any other human who has ever loved. He was an atheist and made the claim that no God created what we know as the observable universe. So when you say one explanation for the origin of the universe can not be labeled sillier than another, then that just cannot be true. I hold the experts knowledge to the highest standard. For example, if I want investment advice, I go to Warren Buffett. I’m not going to ask my neighbor with $5,000 in a brokerage account. If I want to know how the universe was created, I’ll trust Dr. Hawking’s knowledge, and not some guy who thinks God created the universe in 7 days and made man out of dirt and a womN out of a rib. I doubt you’ll post this on the site, but I wanted to share my thoughts. Well…we’ll all find out the truth when we die, won’t we? Out of respect for one of the greatest minds to bless this planet, please correct the misspelling of his name in the title of this post and in the first paragraph. It’s “Stephen” not “Stephan.” He deserves at least this much. Dammmitall! I corrected this twice, and the change didn’t stick. WordPress, and editing without my reading glasses is a bad combo! Corrected, and duly noted!! I guess the odds are 1 in 365 that he would pass on his idol’s ( Albert Einstein’s) birthday. Coincidence? Fate? Somebody, somewhere sending a message? Makes ya think anyway. Pretty amazing… and I am guessing you saw his birth date as well? No only on Einstein’s Birthday, but also on PI day!!!!!! I was missing this article. Thank you for posting it. I’m happy to have my old Playmates Simpsons Hawking figure here somewhere. I’ll have to dig him out. One of my earlier memories of Hawking is him playing poker with Data, Isaac Newton & Einstein in Star Trek TNG. That poker party brings back memories. I have seen all all the movies and the series at least twice. Perhaps the next big event will somehow be inspired by Hawking as a tribute to him. I’m sure the creators can think of something since he did have appearances on the show. Nice write up Patric. I believe you can have more than one theory that is correct. I’m a practicing Catholic so of course I was taught that God created Adam and Eve and that’s how the human race began. But I also learned in school the theory that we evolved from apes. Why can’t both be true? Perhaps God selected a few apes to evolve into humans as a way to speed up the process of populating the Earth. I think it’s great to have different view points on things and to change or build upon your views as you discover new information. Hawking was very bright and seemed to be open to new ideas, whether or not he supported them. There are actually many ties between many beliefs and theories…which is what makes it all a “wait until the end” to figure it out. However, I believe that the real playground for discovery is that of external consciousness, which is certainly hinted at by quantum physics. But, what the “mind of God” may in fact be, I believe to be a long way from an old man in the sky playing traffic cop. There is room for a lot of integrated theories and beliefs…and I think it is a bit of all of it, in the end. Just words, and limiting definitions…that is the hurdle. Created in image could refer to…. Appearance, or behavior, or emotion, or caring, or….. Creation could occur with an instantaneous snap of the finger, or slow, careful artistic manner. A cookbook may describe what is required, and how and when items are to be combined. But that doesn’t get the cake baked. Well said. We lost an amazing mind. Thank you, love what you said & explained. Now I understand him more. Thank you Patric for your post, Stephan will be sorely missed and will leave a void in science. R.I.P. 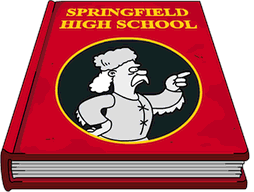 In his honor I have him flying around in my Springfield. I admired him for his stamina to handle his ALS. 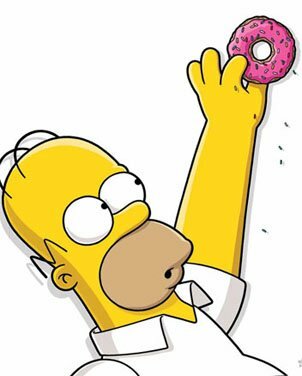 Should I Spend Donuts On the Returning Character Combos or Costumes?